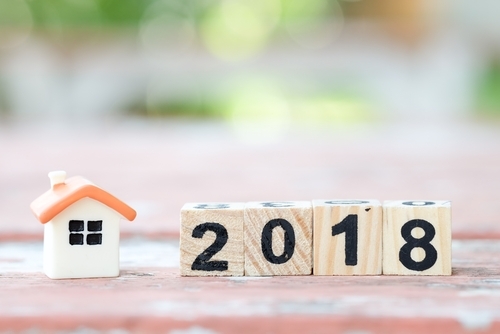 Entering 2018 what factors and trends will shape the property market over the next year? 2018 will be the year that the new tech and business models developed by prop tech start-ups will go mainstream in the industry. This is a trend that started in 2015 with the emergence of both online agencies and property crowdfunding platforms. As these companies have developed, they challenged traditional business practices with transparency and lower prices which has caused a sea change in consumer behaviour. Businesses like Purple Bricks, Ratesetter and Nested could become household names and smaller prop tech companies with the right IP will be acquired by older and less tech-savvy property companies as they look to adapt to the changing marketplace. Summing up the forecasts from the industry players the only positive outlook was from Hometrack, which is pencilling in 3% house price growth for the UK as a whole in 2018, while many commentators are forecasting around 1% rise across the whole of Britain. These included Rightmove, Knight Frank, and Savills. In addition, a Reuters poll of 28 housing market specialists published last week, states property prices will rise by 1.3%. Halifax has given itself some wriggle room indicating growth might be between 0%-3%. The more pessimistic outlooks came from Nationwide and RICS with a flat to 1% growth from Nationwide and RICS not giving figures but describing a “halt” in prices over 2018. The worst of the bad news was saved for London where house prices look to remain stagnant in 2018 caused by the twin spectres of Brexit and rising interest rates. On the upside, there was a consensus that any growth might be concentrated in the North of England, which also saw some of the highest gains in 2017. House Building and Property Development will rise, but the housing crisis will continue. Across the political spectrum there is now an acknowledgement that the housing crisis in the UK will be eased by building more houses and there is a growing political will to build. But, even with Brexit and a fall in immigration the population continues to rise by around 400-500,000 every year. In 2016-17 new building picked up 20% with a total of 217,000 homes being built, this does little to solve the crisis and is still short of the government target of 300,000. In addition, to exacerbate the problem, the low pound and property ownership law mean foreign investors into new build properties are likely to maintain their interest in the UK market. Alas, although building has and will continue to increase the low numbers being projected will have little or no effect on the crisis other than to help underpin house prices. The underpinning of house prices will also be aided by continued levels of low property stock which hit a 40 year low in 2017. With a lack of choice, and moving costs increasing to an average of £32,092 in central London equalling the average cost of a loft conversation, the trend of staying put and improving your current home will continue. With buy to let tax breaks slowly being eroded over the next three years and the increase in stamp duty on secondary homes, many investors and landlords are looking more closely at AirBnB and other platforms as a way of producing income. Full properties available for short-term rental increased by 54% on AirBnB in 2016-17, while figures from the Residential Landlords Association found there has been a 199% increase in the total number of short-term rentals listed on Airbnb between 2015 and 2017. One advantage is that mortgaged landlords who use Airbnb and other sites for short-term lets have been able to offset their interest costs if they meet the criteria for a “furnished holiday let”. The weak pound has also lead to a rise in “staycations” increasing demand and prices for short term lets. Management companies like Air Sorted have removed the hassle for landlords while the extra income helps negate the costs of their second or primary residence.